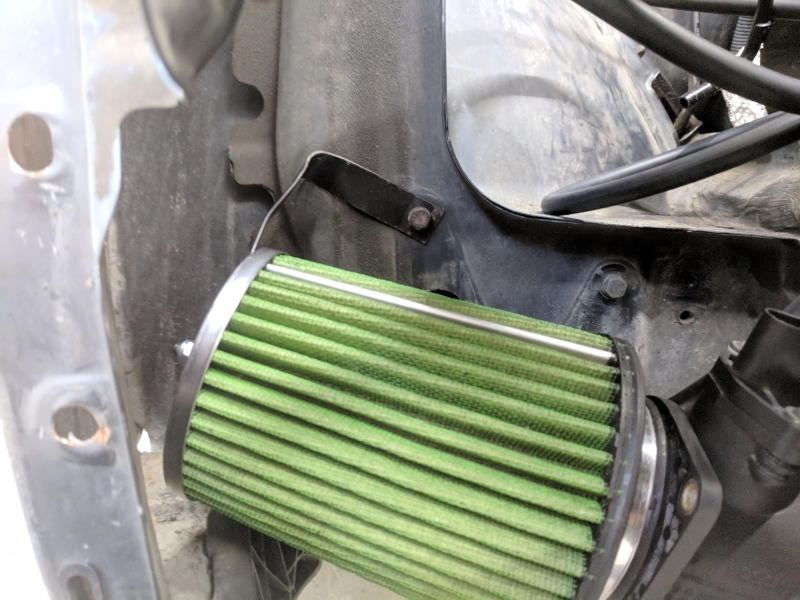 As I said in my previous post, I’m worried that water may enter the air filter and cause some issues when driving in wet weather. 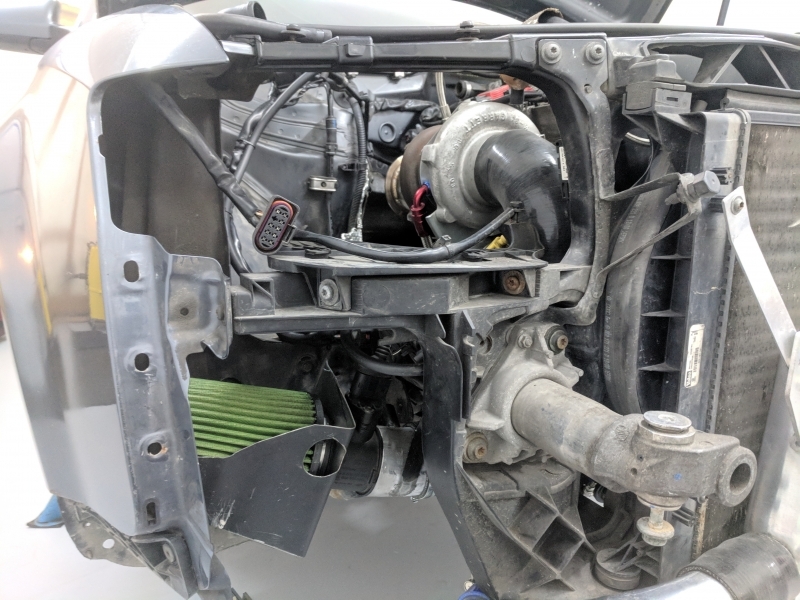 This is because I have moved the air filter down behind the front bumper fog light. 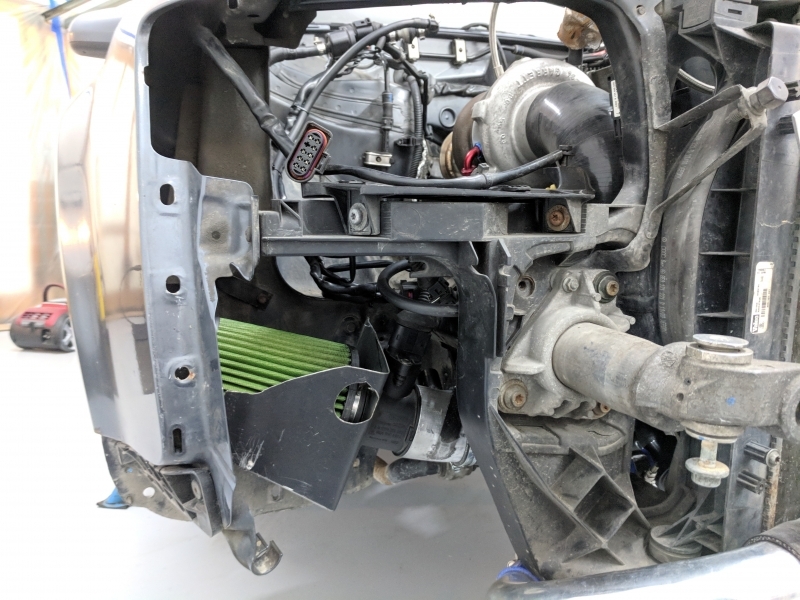 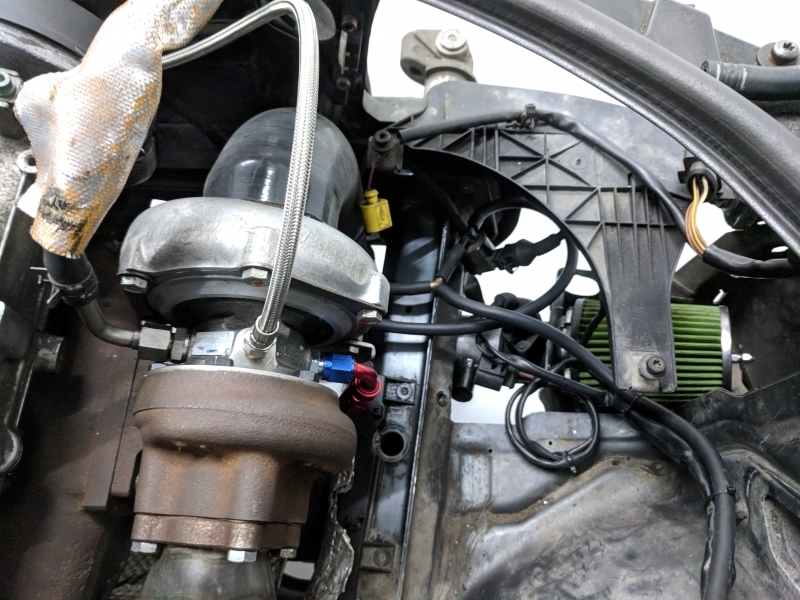 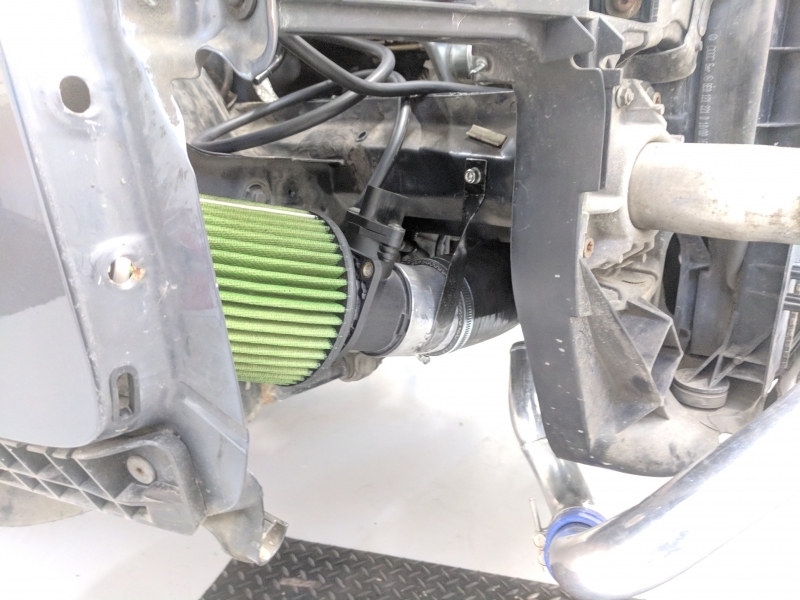 I had a small bit of metal plate laying around from my previous heat shield which I modded to fit around the bottom and front part of the air filter. 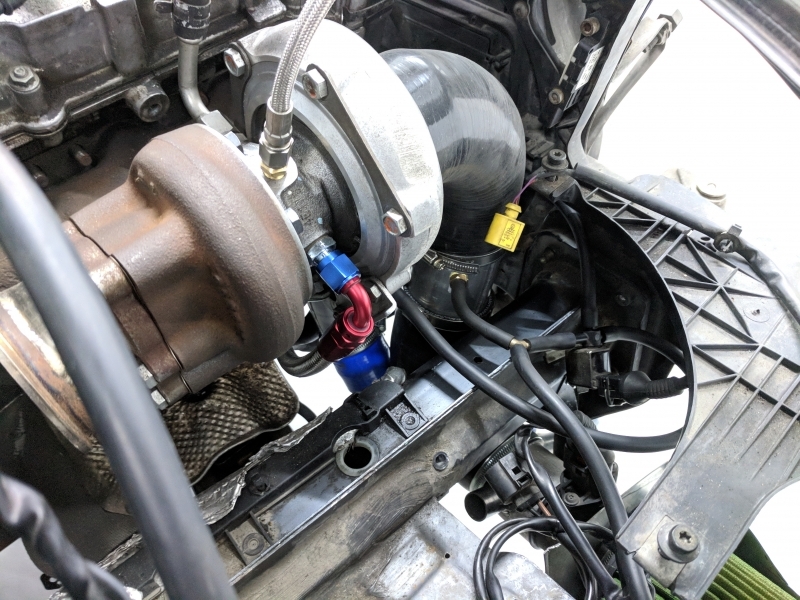 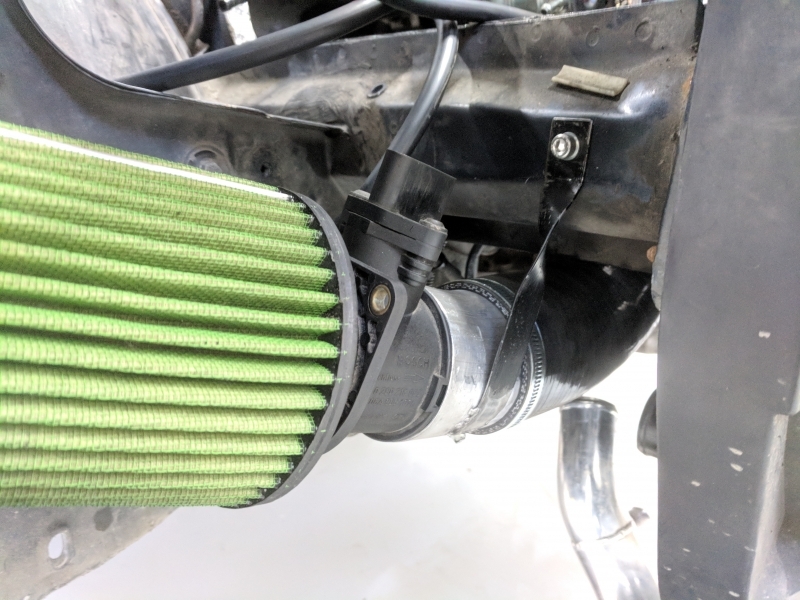 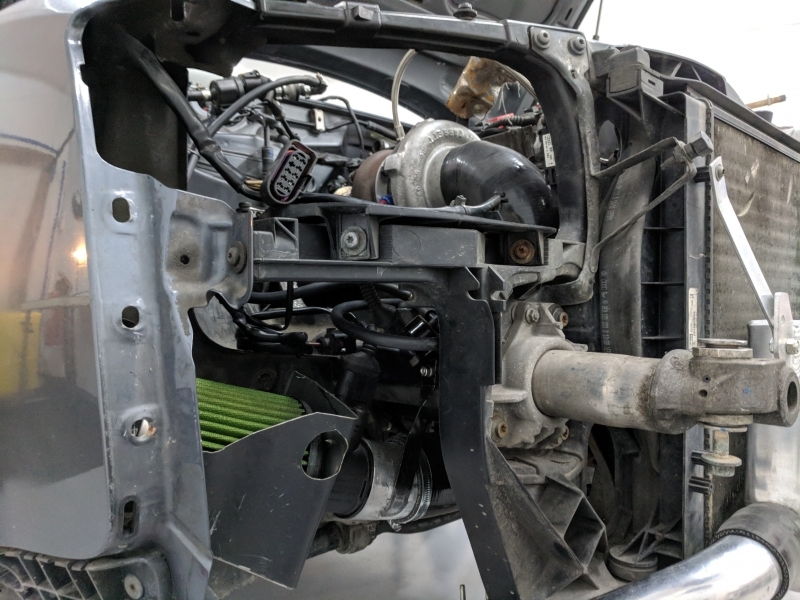 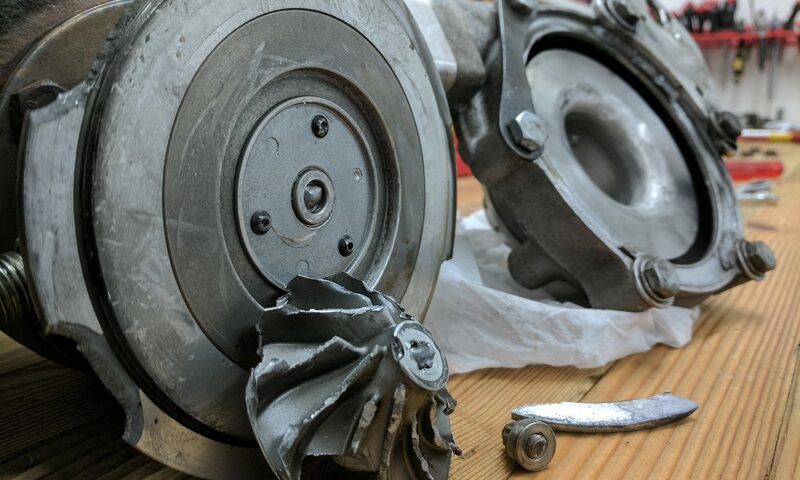 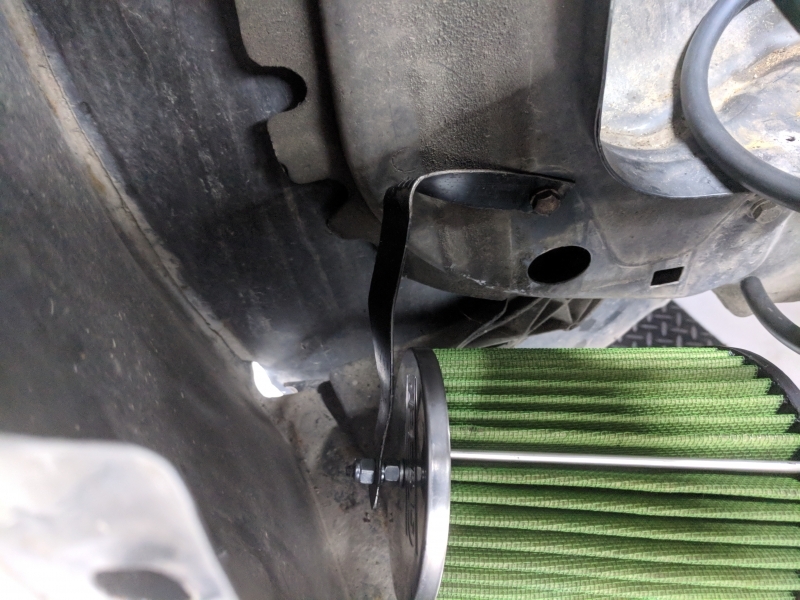 It’s not the prettiest thing, and it will not prevent large splashes from entering the air filter, but it might help keeping the worst of it away. 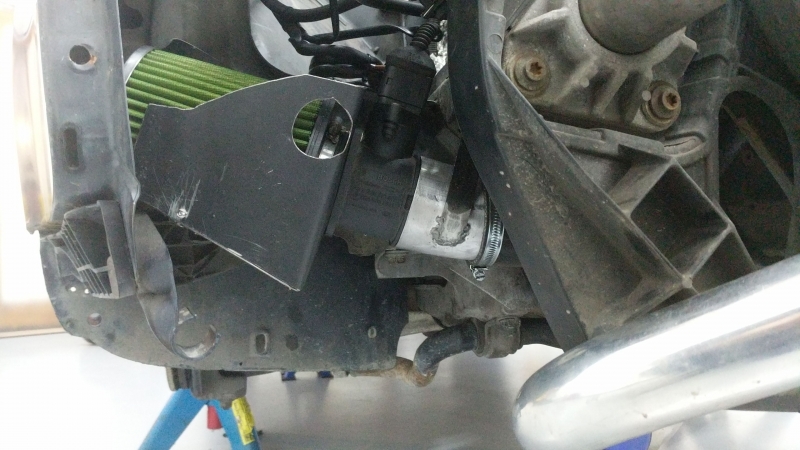 To prevent the air filter from moving to much, I made a couple of rudimentary brackets as well. 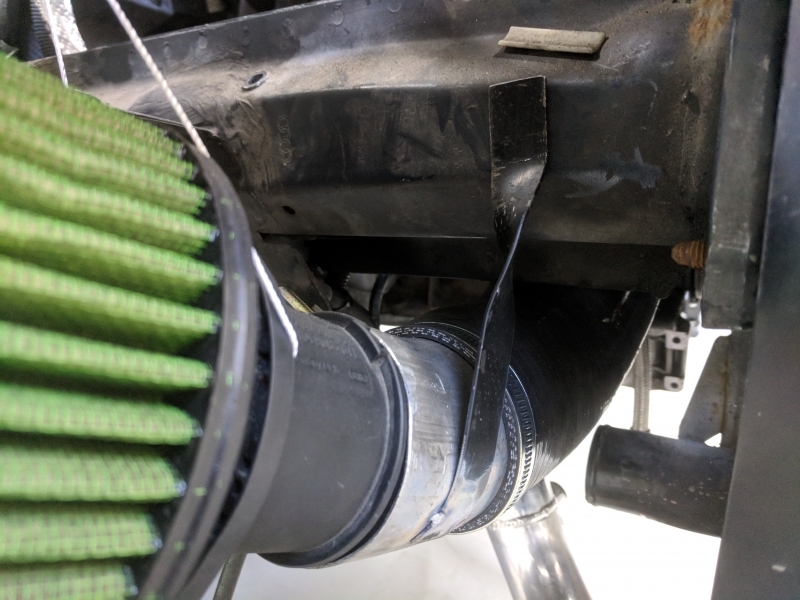 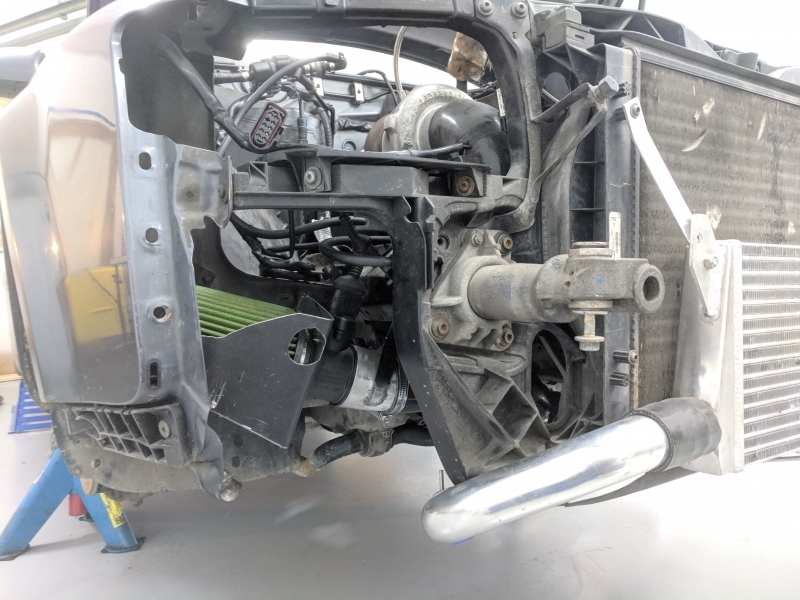 I also discovered a couple of bumps in the intercooler piping close to the turbo, which I suspect may be from parts being slung out when the previous turbo died. 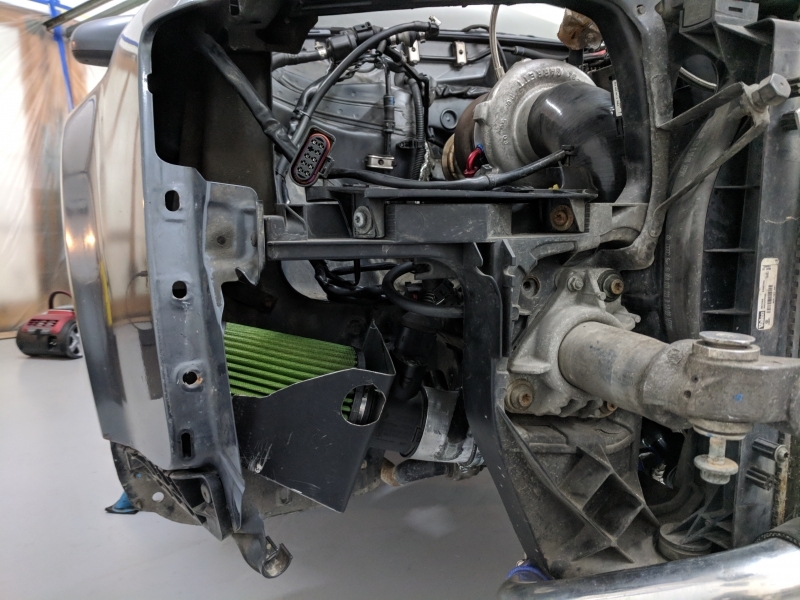 Need to check if there are some broke turbo parts in the intercooler before I fit it all together again.